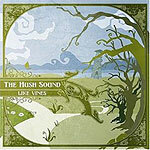 The second CD from The Hush Sound is chock-full of the purest, loveliest, most decadent ear candy your're going to find on the scene now. Songs like "We Intertwined," "Sweet Tangerine" and "Wine Red" rival anything put out by earlier pop-rock masters like Fountains of Wayne, Squeeze or Crowded House. Bright, bubbly melodies are wrapped around near-perfect arrangements, with complex, intriguing construction that builds dramatic interest without distracting from the pure beauty of the themes. Clever, smart wordplay in the lyrics ("The sea is wine red/This is the death of beauty/The doves have died/The lovers lied") only adds to the magic that is a Hush Sound song. Vocalist Bob Morris has a voice that reminds more than a bit of Paul Carrack's (of Squeeze and Ace), while fellow singer Greta Salpeter's has an edgier, more ethereal tone that gives the songs she sings on a more experimental flavor (like a mellower Kate Bush). And on "Lion's Roar" the The Hush Sound sounds more like Northern California cult fave Cake than anything else.